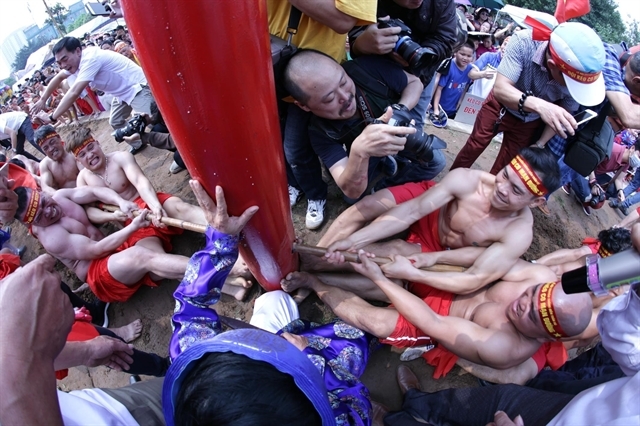 An ancient form of tug of war is still organised at the Trấn Vũ Temple Festival on the third day of the third lunar month in Thạch Bàn Ward, Long Biên District, Hà Nội. 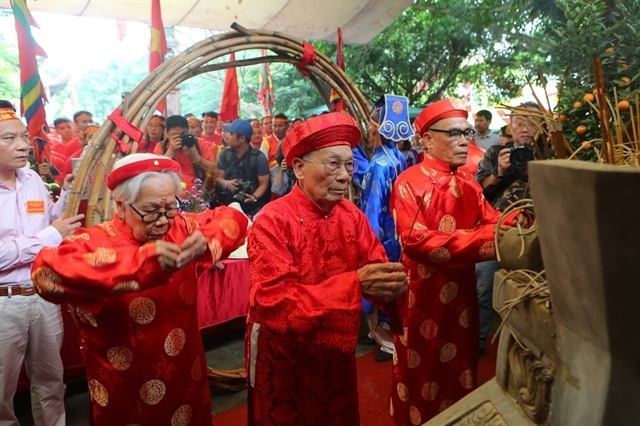 Legend has it that during a serious drought, only one of 12 wells in Ngọc Trì Village still contained water. Men from Chợ Hamlet went to collect water from the well but were stopped by men from Đìa Hamlet. At that time they used bamboo twine to carry the water home. 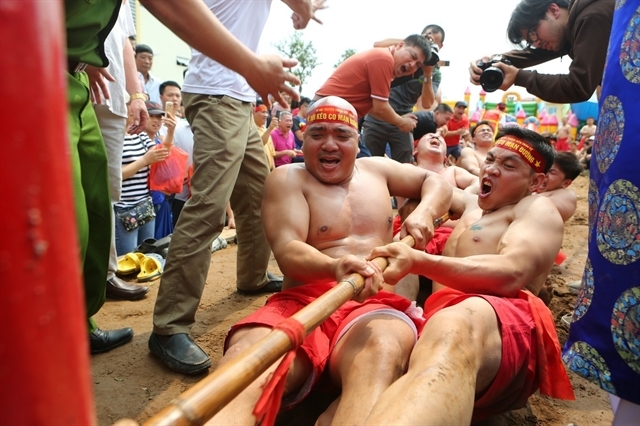 When a fight for the precious resource broke out, both sides were afraid of spilling the water, so they sat down and battled to pull the water from each other, some even clinging on to the buckets for dear life. 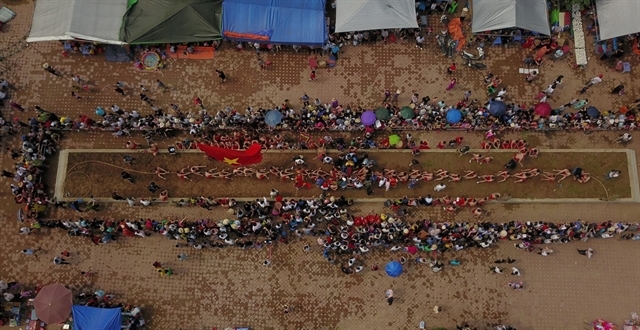 When the drought was over, elders in the village initiated the game as a reflection of the fight at the village festival in order to wish for a better weather, a bumper crop and a prosperous life. 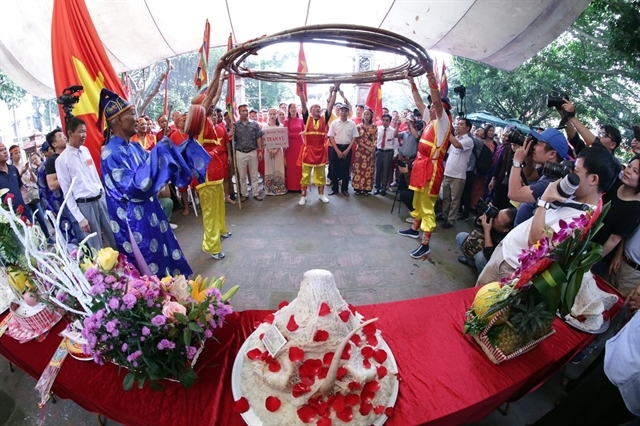 The event has been recognised as an Intangible Cultural Heritage of Humanity by UNESCO.